Delivering first class customer service is SSE’s number one priority, especially when it comes to taking care of the vulnerable. It is vital that customer service agents are given all the specialist training they need to be able to assist customers. This is especially important for customers with dementia which is why SSE has worked with DSDC to create a training programme for the specialist teams. 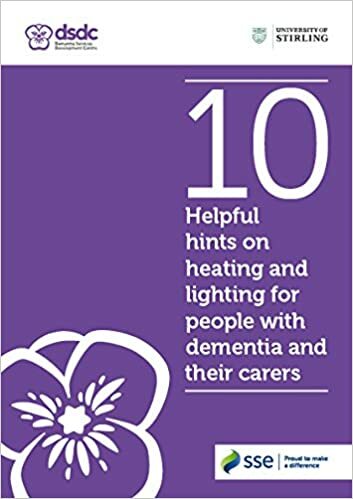 A guide for all employees to assist in dealing with customers with dementia has also been produced, as well as a booklet containing practical tips for those caring for someone with dementia. Craig Williams MP joined major energy supplier SSE to meet customer service agents taking part in special training to make sure that customers with dementia receive first class customer service. Mr Williams joined the SSE staff in Cardiff as they learnt how to identify the common cause of Dementia, examined the impact of dementia on family and friends and experienced a practical simulation of the ageing process. The trainers taught the customer service staff how to identify if a customer may have dementia and how this can impact on individuals and families’ daily lives. It was important that those taking part in the training left the session with a better understanding of how to support a person with dementia and use appropriate communication skills either on the telephone or face to face. ‘We are delighted by the positive response from SSE staff where throughout this training they have been engaged and enthusiastic’. The team at DSDC are world class experts in helping those with dementia. We offer award winning training to companies such as SSE and the insight that they are able to provide to customer service staff is second to none. The training delivered at SSE was based on our dementia awareness programme which had been customised to specifically address the interactions SSE staff would have with customers living with dementia. SSE plc is one of the UK’s leading energy companies, involved in the generation, distribution and supply of electricity and in the extraction, storage, distribution and supply of gas. Its core purpose is to provide the energy people need in a reliable and sustainable way. It supplies energy to around 8.28 million customers throughout Great Britain and Ireland, is frequently ranked number one for customer service and is one of the UK’s leading generators of electricity from renewable sources. It became a Living Wage employer in September 2013 and was accredited with the Fair Tax Mark in October 2014. Every year it contributes around £9 billion to the UK economy.